I’m no health expert or any kind of expert for that matter nor do I pretend to be one on this blog. I just talk about things the way that I see and experience them firsthand, which will sometimes ruffle feathers because as I mentioned in my last post, I don’t always follow status quo thinking especially when it makes absolutely no sense. You know how the saying goes ” the definition of insanity is doing the same thing over and over expecting a different result”. What I want to talk about today is the unspoken contract of adult children caring for their aging parents/relatives, specifically elders with chronic health issues that are “accepted” as issues that come along with aging. Though seemingly unrelated, this is a continuation of my last post as it ties into the general point I am making. And that is the program we’ve been given to follow is imploding under its own weight and is no longer viable. Not that it ever was in the first place. The only reason its been able to continue in the state is has is because only a brave few had the gonads to question it and when they did, they faced being ostracized by society. Also because of the numbers of those benefitting from going along to get along were far greater, even though they did not realize the benefits they were getting would later be ripped away because it can’t be sustained. No living being can defy natural law. If one does just a little research, they’ll find that diet and lifestyle plays a huge role in health and well-being. Many of the labeled dis-eases are preventable and where there are “inheritances”, the switch can be kept in the “Off” position by diet and lifestyle. The sad thing about this is that a lot of this research is not new as in the recent decade. For example, I remember as a small child back in the 70s (yep, I’m seasoned) commercials on TV from the Surgeon General about the dangers of cigarette smoking and secondhand smoke. There are other studies about missing nutrients and health that date back to the 1930s! Waaay before my time…but I think you see what I mean. Now granted some of the research is skewed, which is why one should check who is doing or more importantly, funding the research. Follow the money. Getting back to my point, its unreasonable and utterly selfish to expect adult children to care for their parents when they (the parents) have lived a lifestyle of smoking, drinking alcohol and/or the SAD (Standard American Diet) for decades and steadily refusing to change their habits when this knowledge has been easily accessible. Maybe not as accessible as it is today but the library was and is still around so there really is no excuse. Now I know this seems like imposing control or taking away somebody’s right to live the way they choose. Nope, not at all as I’m a live and let live kind of person. If you want to sniff glue, formaldehyde, paint thinner, eat bacon, one at a time or all at once, it makes no difference to me as long as YOU suffer the consequences that come along with that choice that YOU made. Just as this is your right, it is also the right of the adult child to choose not to devote their resources (one of their most precious resources is time) having to deal with you. Sorry parents but this is not a one way street as you have manipulated it to be when the child was under the legal age to enter into a contract. In rebuttal there have been statements made to me directly and indirectly “Aunt Mary smoked for 60 years and lived to age 92”, “Grandma grew up eating sausage, bacon, pork chops and eggs every morning” or Grandpa drank for years and lived ’til 80″ etc. When I hear statements like this I chuckle under my breath because it immediately tells me they want to justify continuing their behavior followed by guilt inducing statements to continue or start the adult child’s help. Also it’s pretty well-known that most folks did not live past 70 and the few that did live past those ages living that kind of lifestyle did not live totally independent of some kind of family help. I’ve even heard older folks say” I’m gonna keep smoking,drinking, whatever and if I get sick, my kids better take care of me”. This is really a thought provoking post. Great job! I know and understand the frustrations of a aging parent/grandparent. To be honest our lives is tough. Some food was more expensive, and our poorer ancestors had to eat what was affordable to their lifestyles. As far as smoking YES that was a choice. 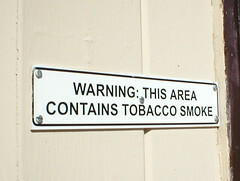 Plus after numerous warnings, people today are still smoking. We have choices but, I feel like this society is set up to keep us ill, uninformed, disadvantaged and addicted to many different things. As I don’t find that a good enough excuse, I can say that I myself don’t make the best choices all the time. I know as much as my elder family member are aware of different risk, I’m sure that they still engage in them. Still after eighteen years plus of support and love from my elder family member…no amount of poor choices and health habits would allow me to turn my back on them. We all are growing towards old age, health problems come naturally to the mix. No I’m not saying that it’s wise that they continue to live a damamging lifestyle, and expect the child to take care of them. Still in my mind, they have dedicated a lot of THEIR lives to caring for us. No matter their health issue, they deserve the love and support of family. We all have hang ups, addictions, and make poor decisions. If everyone turned their backs on us because of them, where would we be now? Life is a big cycle, and what goes around comes around. Could our children growing up today feel our poor decisions to drink, or eat mcdonalds effect how we are cared for later? Now is not the time to turn our backs, on those that did countless of selfless acts for us when we couldn’t care for ourselves. (Just my humble opinion.) Looking forward to PART2. Queen, I appreciate your comment on this post. Dialogue and more importantly action amongest all as it is going to take lotty dotty, EVERYBODY to turn this ship around. I want to say that I’m not suggesting to totally turn our backs on our elders. However, something has to be done about the elephant in the room as letting things continue as they’ve always been is not working and will take us out. You can’t keep dipping into the cookie jar and expect cookies to still be in there. Caring for an elder is in no way the same as caring for a child which was THEIR choice to bring into the world whether it was done consciously or not. Also many children did not get the love and support of family that they deserved as they were not asked if they wanted to come into the world and live through the crappy behavior of these now sick elders who in many cases turned their backs on them, but that is another issue. What I will be addressing are the real resulting issues of saying it’s ok (which is basically what we are doing) because you are now an “elder” to continue to do what you’ve been doing that’s causing you to be in need of care. They the elders don’t do the same thing for the adult child who continues to use cocaine, heroin after countless interventions. I’ll bet you they are told “you made that bed so you must now lie in it”. Humans are a strange lot in that when they know they don’t have to suffer the consequences of their behavior, there is no incentive to change or take action towards preventative measures. I don’t always and surely haven’t always made the best choices in terms of what I was doing in regards to my health. But as I’ve aged I know better, so I do better. That is the responsibility that comes with age or the term “Elder”. And yes it just might be on the minds of our children growing up today. Many of them (I am too) are angry and rightfully so with the behavior of those that are older than they as they see the rabbit hole they will be in if things continue going they way they are going.